Time flies and The Disgruntled Chef at Dempsey has been around for six years. Not only is it celebrating its six years anniversary, it has also opened a new outlet at Ann Siang Road offering a fine dining concept. In conjunction with the anniversary, The Disgruntled Chef at Dempsey has rolled out a new brunch menu. Kick starting the brunch at The Disgruntled Chef, we started with some freshly juice blend in the Pear Tree ($10) and Bora-Bora ($10). 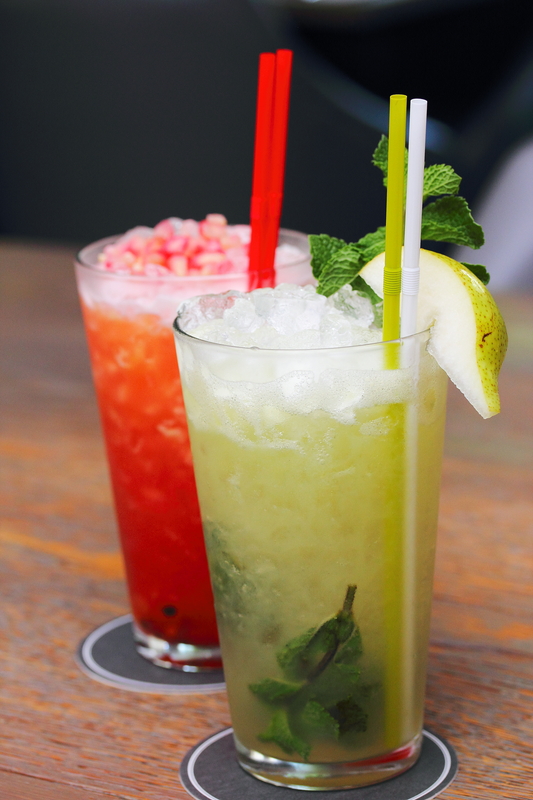 The Pear Tree is a concoction of pear, lime and mint which is light and refreshing. For a more tangy counterpart, the Bora-Bora made up of a mixture of pineapple, passionfruit and pomegranate will lift the day on a bright note. Time to ditch the kaya toast and go for the Truffle Bikini ($10) instead. 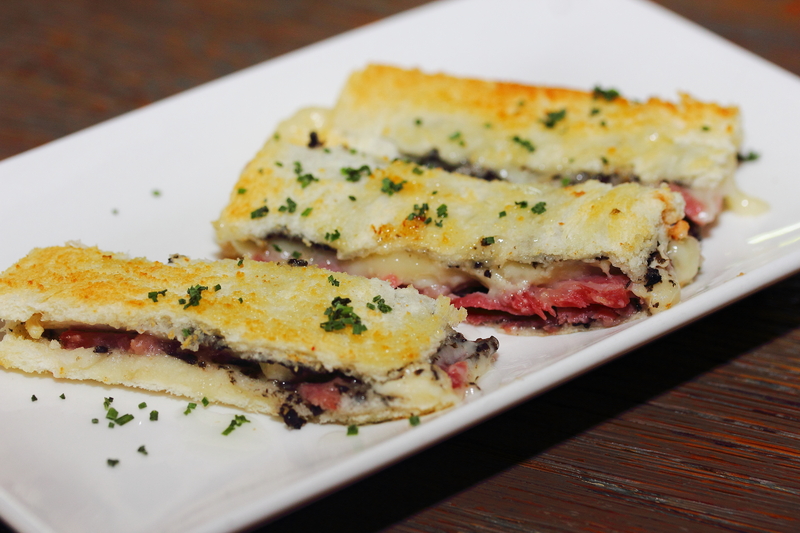 The sandwich toast is layered with black truffle, iberico ham and brie. The combination gives it a richness that is very addictive to just stop at three. The BBQ Pork Belly Bao ($10) comes in a pair. The pork belly is sandwiched in between fluffy steamed bao and paired with house made kimchi, dressed in a spicy mayonnaise. 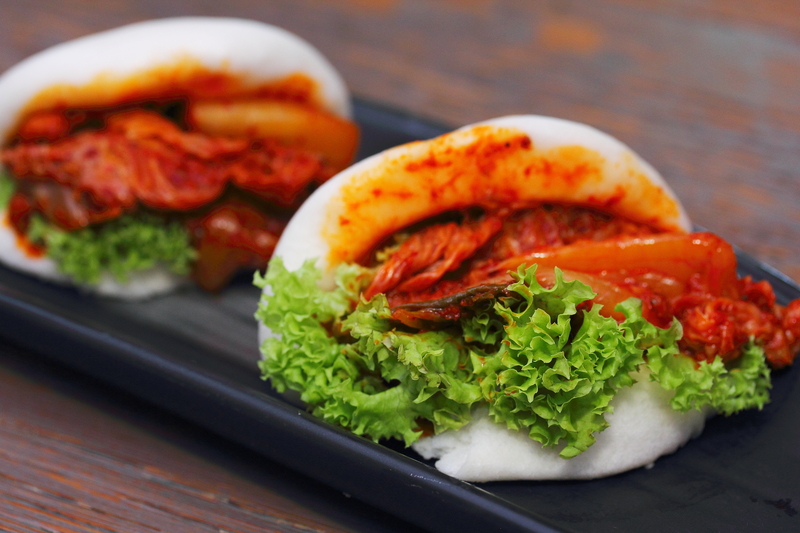 The modern interpretation of steamed bao is a delightful introduction to the brunch menu. 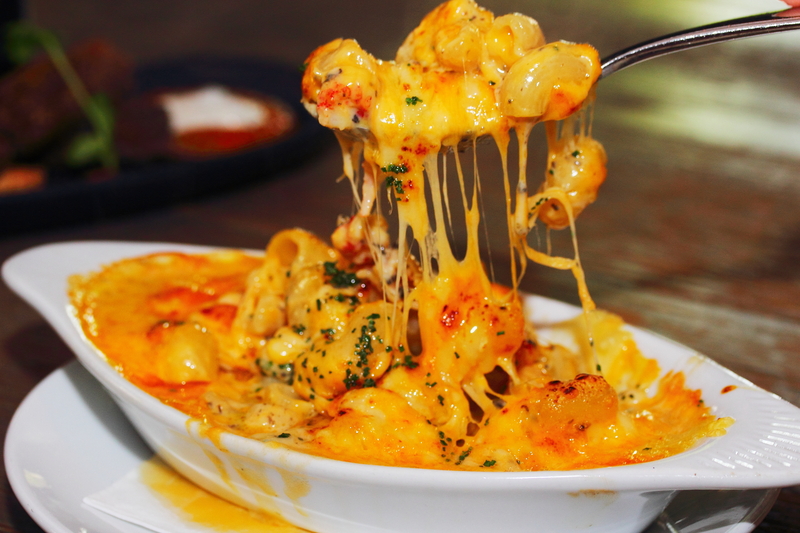 Mac & Cheese is rather common on mot restaurants' menu but the Truffle Macaroni & Cheese ($18) will blown you away with its cheesy and depth in flavours. 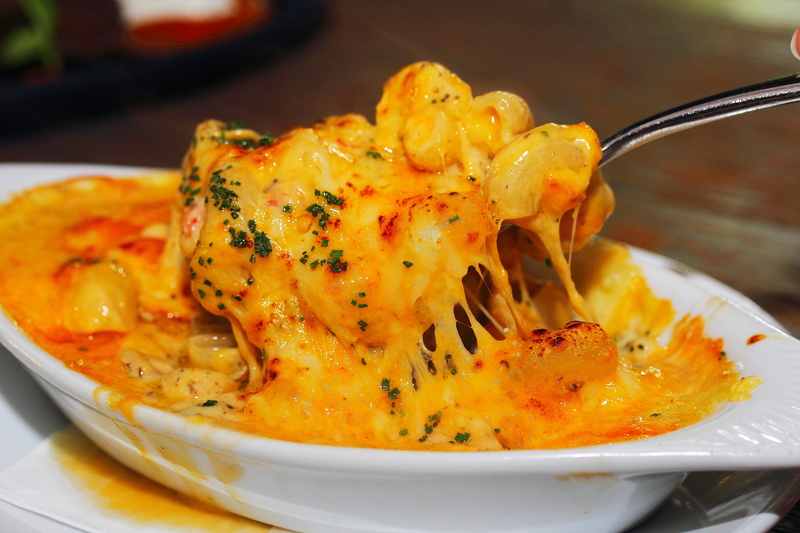 The macaroni also retained a delectable bite. This is definitely one of the better version I have eaten for a long while. 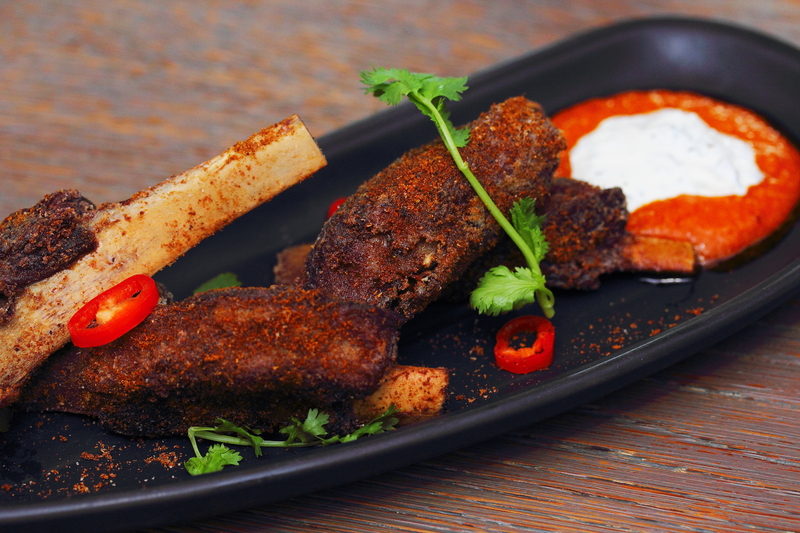 A surprised item on the menu that won my heart is the Crispy Lamb Shortribs ($21) paired with spiced pumpkin puree and mint yoghurt. I have never seen since execution of the lamb before. The exterior has a enjoyable crispiness to it, dusted with aromatic spices while the interior is succulent and fell off the bone with ease. 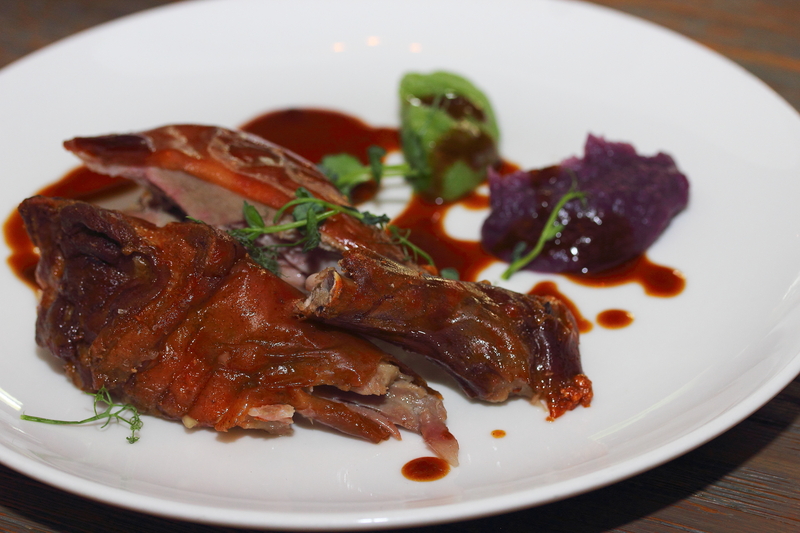 I thought Saikyo Miso Hamachi Collar ($34) is a dish I would only see in Japanese restaurant. 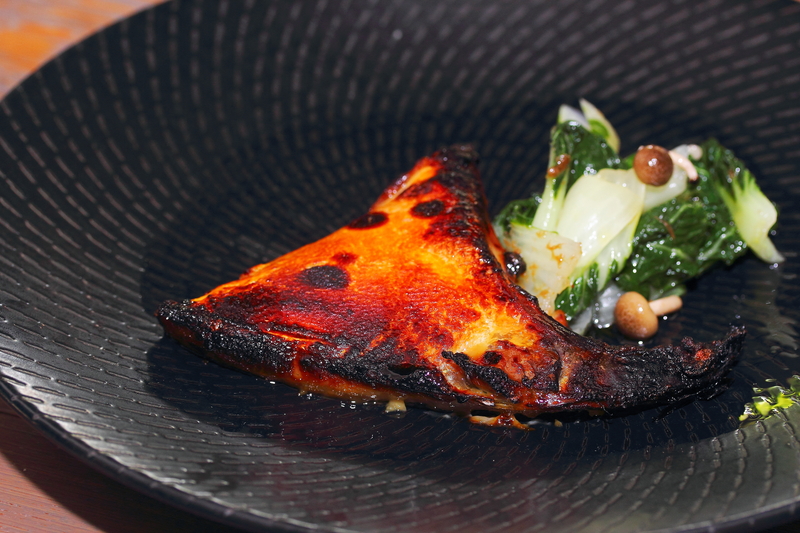 It shows the diverse culinary knowledge of Chef and owner Daniel Sia. The softness of the collar meat has a lovely hint of sweetness from the soy sauce base marinade, grilled to a nice smokey aroma. 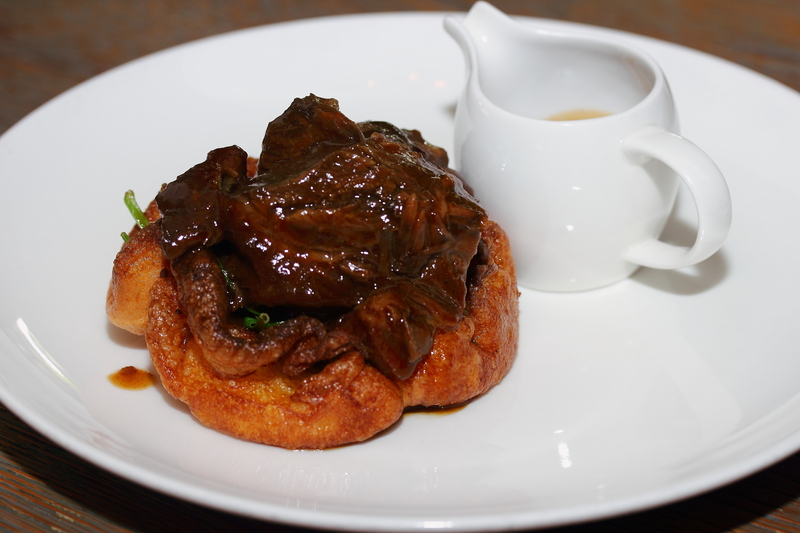 The Braised Veal Cheeks ($34) is served on top of a yorkshire pudding and wilted spinach. 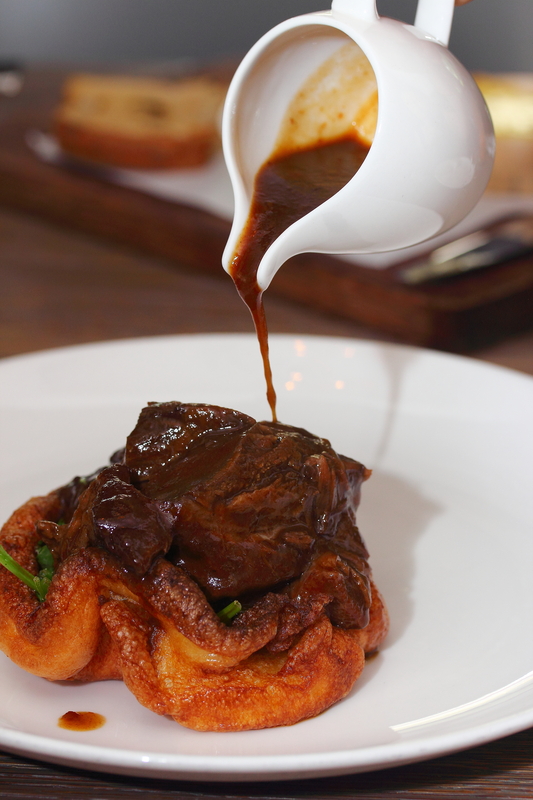 I am not a big fan of yorkshire pudding but the braised veal cheeks were braised excellent to a melted in the mouth texture. I am a sucker for suckling pig. I find it hard to resist the Crackling Suckling Pig ($68) paired with purple potatoe and apple puree. Actually I thought the condiments were not necessary as the meat was already so good on it own. The crackling skin and the tender meat, there is nothing more I can ask for. Wrapping up the brunch at The Disgruntled Chef, we tried the Sticky Toffee Pudding ($14) and Avo-gato ($12). 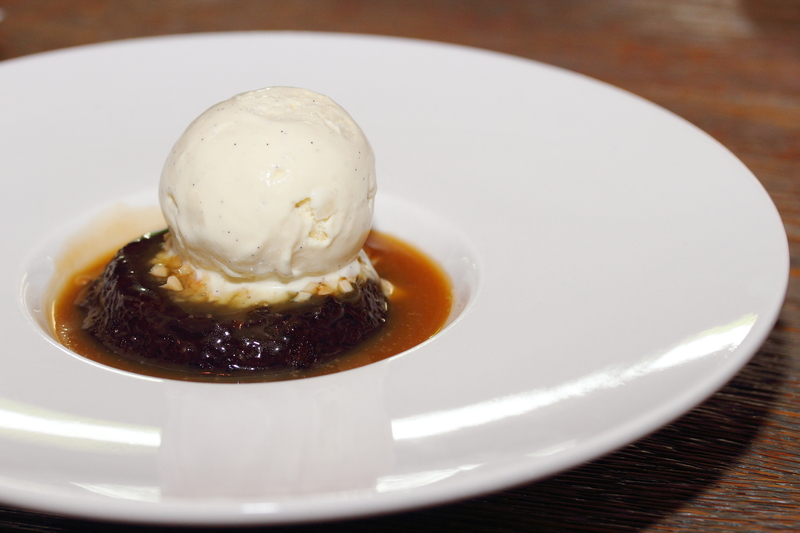 I appreciate that the sticky toffee pudding was not too sweet, as I am not really a sweet tooth person. 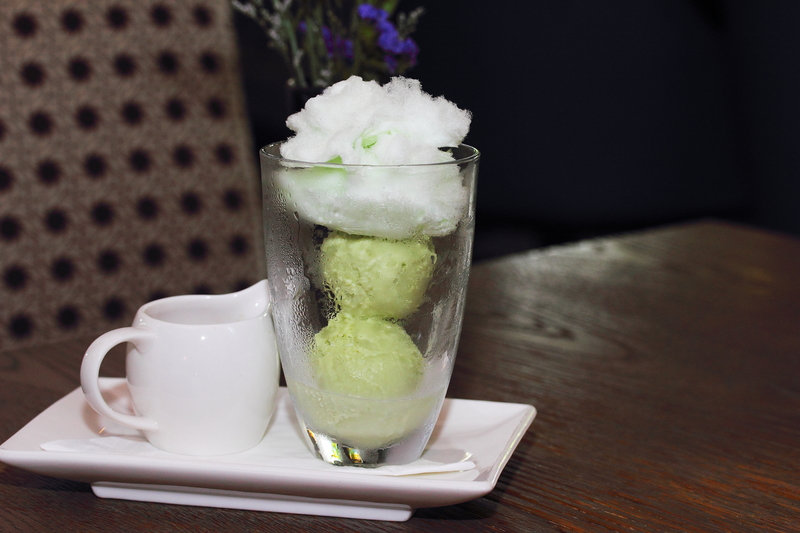 I like the little twist in using avocado ice cream and cotton candy for the Avo-gato, substituting the classic Affogato. 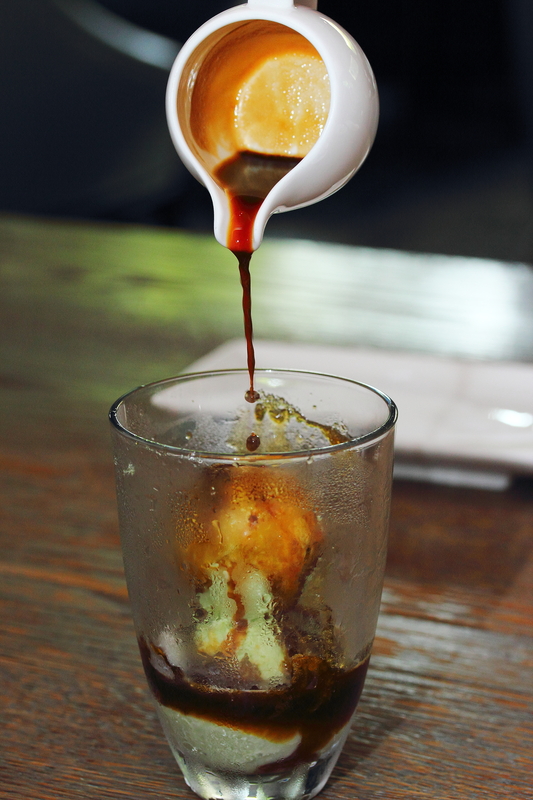 While the fun element is there, the execution needed a bit more sweetness to balance the bitterness of the coffee. Overall I have enjoyed the new brunch menu at The Disgruntled Chef, especially the Asian inspired or influenced flavours in the dishes. You can pick either two or three items from the menu for a reasonable pricing at $32 or $39. This is definitely a good change from your normal cafe brunch items such as pancakes and egg benedict.